Last week Cedar Knoll Restaurant hosted the Chamber for the monthly Drinks & Deals networking event. There was a great turnout of more than 50 local business people who came to see this local gem. Our own local celebrity chef, Andrew Holden, emerged from the kitchen in his Washington Nationals baseball cap and platters of delectable appetizers. Andrew told us how he rowed across the river and purchased fresh vegetables and fruits for the restaurant and how they are beginning to grow their own garden on the grounds. He grew up in a family that loved to cook and enjoy their cooking together. That same spirit enfuses Cedar Knoll Restaurant today. Andrew, his brother Chris, and culinary team have transformed Cedar Knoll Restaurant. 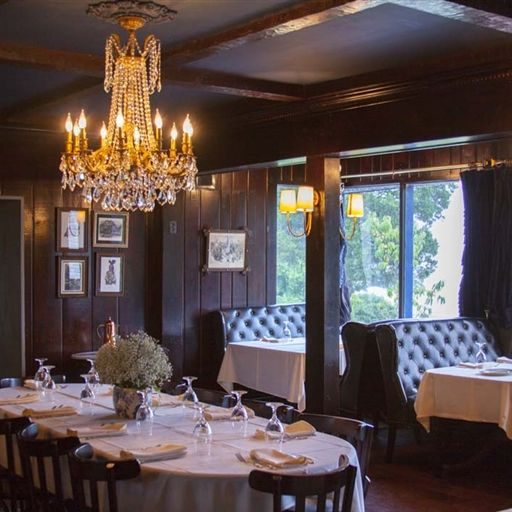 The first time I visited Cedar Knoll Restaurant after Andrew had taken over the propety, Andrew showed me the velvet curtains and upholstery. the historic paintings, and vintage china and I was pleasantly amazed. I asked Andrew who was the interior designer and he modestly answered that he was the designer. It was a complete change from what had been Cedar Knoll Restaurant previously. Every time I visit there is a new addition that makes the experience richer. The land where Cedar Knoll stands was purchased by George Washington in 1790 and was part of the River Farm. The Cedar Knoll website shares a little of the history of the location saying, "During his lifetime, Washington leased out River Farm to his personal secretary and nephew-in-law, Tobias Lear. 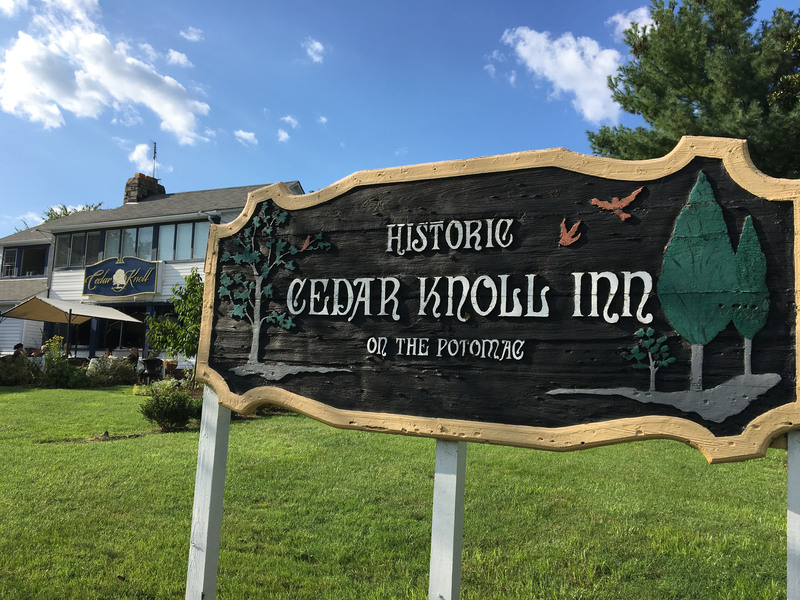 The land was further divided by subsequent generations and the hearth of what is now Cedar Knoll was constructed in the early 1800s as a farm house on a plantation named Markland on the Potomac . The building was later remodeled by Pauline Walsh and opened to the public as the Mount Vernon View Antique Shop . Since 1941, the building has operated as an inn and restaurant." This property is now living up to its "highest and best" potential as a culinary oasis.